Moschino USA Sued Your Manager's Racist ... Calls Black Clients 'Serenas'!!! An employee at Moschino USA has a code name for black clients who don't look like ballers -- "Serenas" ... so claims an ex-employee who's suing the company. 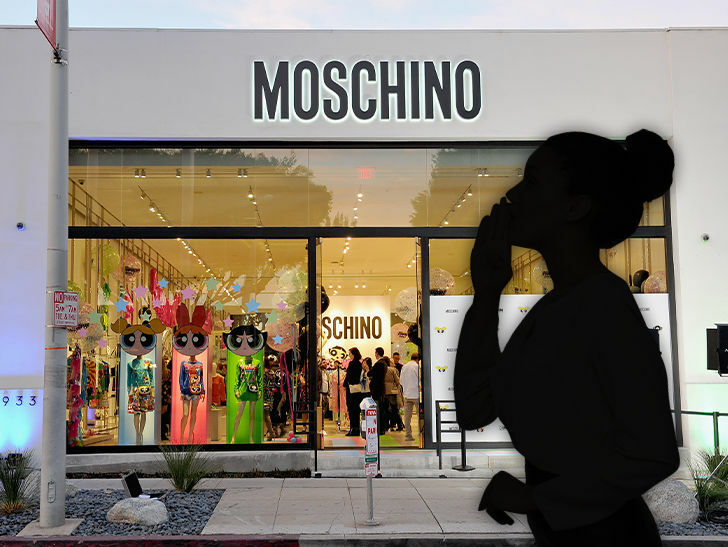 Shamael Lataillade is suing the Italian luxury clothing company, claiming her female supervisor at the WeHo shop had a specific protocol for black clients if they didn't have diamonds or carry name brands. In docs obtained by TMZ, she says the woman would call them a "Serena" and instructed other employees to follow and watch them closely -- sometimes even writing down their license plates. It's not spelled out in the suit, but the alleged code would seem to be a reference to . What's more ... Shamael claims the supervisor told employees to tell "Serenas" they were out of stock on many items -- and even called cops once to report a suspicious black customer. She says the guy turned out to be a high-profile rapper, but she doesn't name him. On a personal level, Shamael -- a black, Haitian-American woman -- claims the supervisor discriminated against her and mocked her as someone who practices voodoo. She was canned for complaining to corporate about the "Serena" code word and other things ... according to the suit. She's suing Moschino for unspecified damages. The company tells us it denies Shamael's allegations and adds ... it "complies with applicable equal employment laws and values and respects all customers and clients regardless of their race or background."